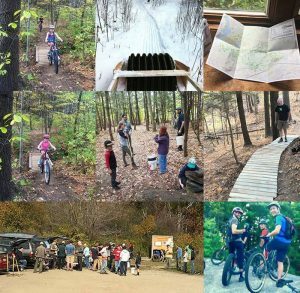 Great decision to join UVMBA – a network of passionate riders and varied trail systems that deliver on the promise of great riding for all abilities along with responsible trail stewardship. All memberships are on an annual basis. Your membership includes UVMBA and Vermont Mountain Bike Association (VMBA) for one fantastic price. Learn more about membership benefits here. VMBA is the parent organization for the UVMBA. And yes, UVMBA is part of the Vermont trail association even though the majority of its trails are in New Hampshire. Visit the VMBA website, choose “Next Term” and be sure to select Upper Valley Mountain Bike Association as the Primary Chapter.